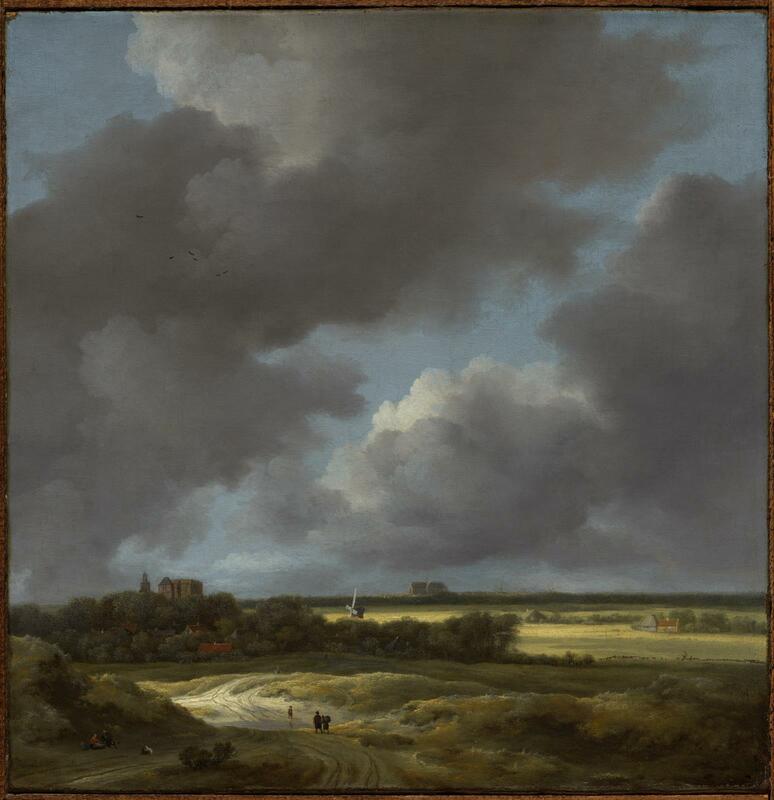 In the late 1660s and 70s Ruisdael produced a number of small-scale panoramic landscapes of his native Haarlem and the nearby cities of Bloemendaal and Alkmaar. Viewed from a high vantage point, Alkmaar’s imposing Gothic Laurenskerk—Church of St. Lawrence, identified by its squat spire—can be seen on the horizon. The large building surrounded by a copse of trees in the left middle ground may be an allusion to Egmond Castle, which had been destroyed by the Spanish in 1574. The figures and dogs in the lower left foreground add visual interest to the landscape and provide a sense of scale. First published in "Catalogue des Tableaux de la Galerie de son Altesse Royale, Monsieur le Duc de Leuchtenberg à Munich" (Munich, 1825), p. 41. cat. no. 108. The painting was published in “Les Tableaux de la collection du duc G. N. de Leuchtenberg,” Les Trésors d’art en Russie 4 (1904). It was mentioned as having been "until recently" in the collection of Georg von Leuchtenberg by A. Neoustroieff, "Niederländische Gemälde in der Kaiserlichen Akademie der Künste zu St. Petersburg," Zeitschrift für bildende Kunst, n. F., 18 (1907): 39. W. G. Constable saw the painting with Gronau in London in the summer of 1939, at which time Gronau quoted a sale price. 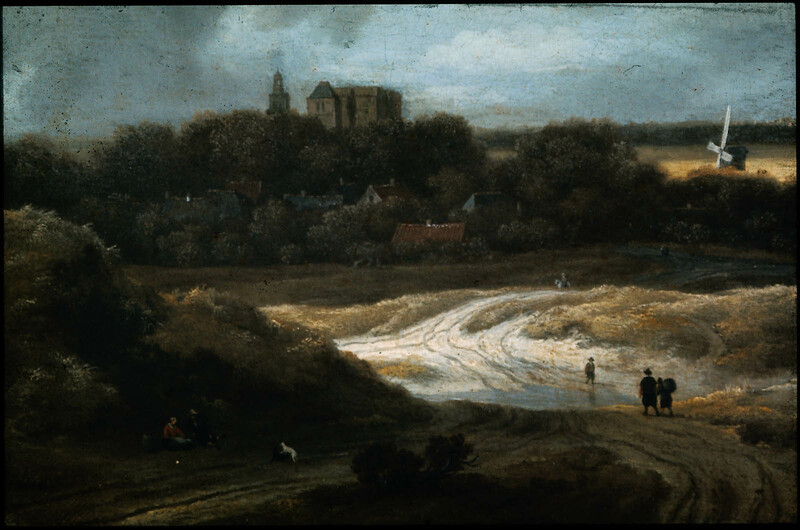 The painting was then shipped to Arnold Seligmann, Rey and Co. in New York, whose representative stated that the Ruisdael "is our property." The reverse of the painting's stretcher has a French shipping label bearing Gronau's name and "A[rnold] S[eligmann] Rey."